Committed to financial stability, family, community and charity. 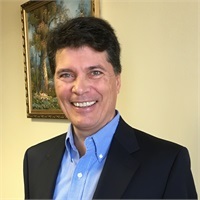 Jim D'Aprile has worked extensively in the field of financial management for over 25 years. His designations include CERTIFIED FINANCIAL PLANNER (CFP®), and Chartered Financial Consultant (ChFC), as well as various securities registrations and insurance licenses. Since 1989, Jim has helped hundreds of individuals navigate life's transitions.